The man who gave information that led to the rearrest of suspected ritualist Ifeanyi Dike has received the N1m pledged by the Commissioner of police. Ifeanyi Dike had allegedly raped, killed and removed vital organs of an eight-year-old girl, Victory Chikamso, before escaping from police custody. Bridget Enchill Obeng, a Nigerian woman dubbed “notorious Nigerian Female Serial fraudster”, has been finally apprehended by the Criminal Investigation Department (CID) of the Ghana Police Service after reportedly playing hide-and-seek with the police for nine months. She is said to have defrauded over 10 victims under the pretext of selling vehicles to them. Bridget Enchill Obeng aka Naana was busted at Baah Yard, Awoshie, Accra. Nigeria’s Hairiest Woman, Queen Okafor, shot into limelight years ago when she said she gets not less than 100 suitors and admirers everyday due to her hairs. She recently shaved her beard off so she can look more feminine and showed off her new look on Instagram. During the week, Tagbo Umeike, one of singer Davido’s friends, died and Davido was accused of having a hand in Tagbo’s death. While Nollywood actress Caroline Danjuma alleged she heard Tagbo was on a drinking spree with Davido and his friends and accused Davido of negligence, another family friend of Tagbo Umeike has given Punch’s Saturday Beats his version of the story. According to the family friend, Damilola Usman, who spoke to Saturday Beats from Tagbo’s parents’ house on Wednesday, Tagbo passed out after taking shots of tequila. There was heavy security presence at the headquarters of the Nigerian National Petroleum Corporation, Abuja on Friday. Armed security men from the Nigeria Police Force and the Army were sighted at the entrance of the oil firm, while police pickup vans and armoured personnel carriers were conspicuously stationed on both sides of the roads that lead to the NNPC. In a society were domestic violence, cheating and ‘Men are evil’ mantra seems to be the order of the day, Kehinde Olorunyomi still believe somethings are still right with the world, that there are still good men out there and that she has caught one of them. Laide Bakare is a year older and she can’t keep calm, I mean who would! The Nigerian actress and mum of 3 who recently became a US citizen, shared these new lovely photos to celebrate her 37th birthday. Hours after Tanzanian singer, Diamond Platnumz was sued by his babymama Hamisa Mobetto for child support and his main partner, Zari Hassan unfollowed and deleted photos of him from her Instagram page, Diamond has told his critics to stop meddling in his private life. The crooner took to his Instagram page to vent his anger at waking up every day to new stories about his controversial love life. Recently, there was a case of a pregnant lady who was brutally abused by her baby daddy that went viral, while weighing into Tonto Dikeh’s marital woes and Tiwa Savage’s viral domestic gender inequality, Nigerian investigative journalist, Kemi Olunloyo has reacted to all them in a post. Meet Adaku Ufere, the young Nigerian lady from Imo state who has shattered the record of the prestigious African Legal Awards to become the youngest African and first Nigerian to win the Attorney of the Year award in this year’s edition of the prestigious award, TheSun reports. At a glittering ceremony held penultimate week in Johannesburg, South Africa, Adaku made history after she was selected among thousands of entries across the continent. A 53 -year-old suspected robber and kidnapper, Linus Opara, has said he did not know how billionaire kidnapper, Chukwudumeme Onwumadike a.k.a Evans lured him into his gang. Opara, who claimed to be a graduate of civil engineering, disclosed that he was an informant for Evans and his gang. He said this at the headquarters of the Lagos State Police Command in GRA, Ikeja Lagos. The 53-years-old said his role was to monitor victims while Evans paid him any amount he felt like for services rendered. The Nigerian male celebrities pictured below are Man Crush Everyday for so many ladies, both in Nigeria and abroad, who they give sleepless nights partly because of their killer beards. The Group Managing Director the Nigerian National Petroleum Corporation, NNPC, Maikanti Baru, has met with Vice President Yemi Osinbajo. 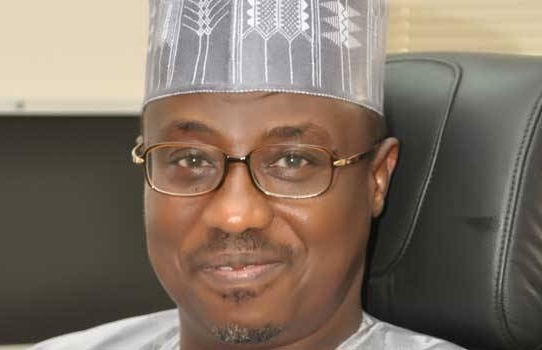 The embattled Group Managing Director the Nigerian National Petroleum Corporation (NNPC), Maikanti Baru, who was accused of corruption by the Minister of State for Petroleum, Ibeh Kachikwu, has on Friday, met with Vice President Yemi Osinbajo, at the presidential villa. NEMA boss, Mr Abdulsalam Badamasi has passed away unexpectedly after he reportedly collapsed in his hotel room. 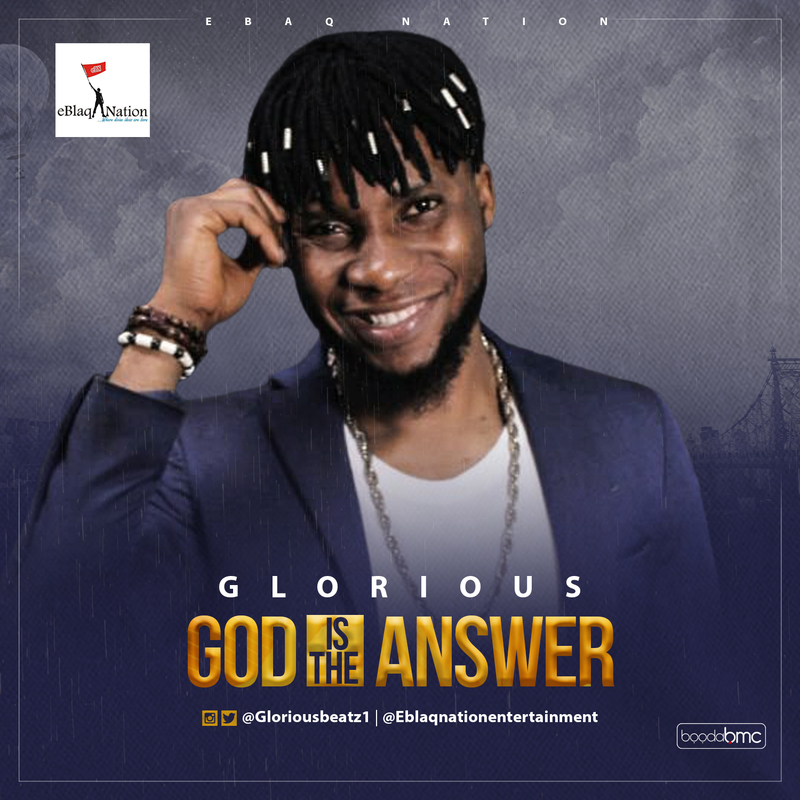 Talking about abundant talent Eblaq Nation Entertainment talented artists Abdullahi Glorious popularly known as GLORIOUS debut his first official single under the umbrella of the Eblaq Nation titled God Is The Answer. This song talks about how we should always put our trust in God in every situation we find ourselves and the hustle we face in life. A Canada-based Nigerian relationship coach, ‎Biola Makanjuola has shared her inspiring story of how she found her purpose and love again after she got pregnant at 19 and faced abuse. A 31-year-old housewife, Ngozi Obasi, has allegedly poured a pot of hot water mixed with pepper on her husband’s private part. The woman was arraigned before an Ebute Meta Chief Magistrates’ in Lagos on Thursday. Mrs. Obasi, a resident of 17, Fatiregun St., Ilaye in Ebute Meta, is charged with attempted murder to which she pleaded not guilty. A mum-of-four reckons looking half her age is a curse as she’s too good-looking to find love. Dawn Cousins, 44, from London, claims men – including her children’s friends – are constantly falling at her feet and she regularly gets mistaken for one of their sisters. Her constant stream of admirers even extends to her office, where she says she often struggles to get work done. But while this sounds like a dream scenario, Dawn said it’s a “nightmare” because she can’t find love – only lust. The Carters have been spotted as a full family for the first time. Beyonce and Jay Z stepped out in public with their four-month-old twins Rumi and Sir, and their five-year-old big sister Blue Ivy, on Wednesday in New York City. The marriage between media personality, Omotoke Makinwa and her estranged husband, Maje Ayida which hit the rocks two years ago have finally been dissolved by an Igbosere High Court in Lagos on Thursday, October 5th. Toke had on March 9, 2016, asked the court to dissolve the marriage on the grounds that the husband committed adultery. Jaylala took to her Instagram to reveal she was body shamed while growing up, even her primary school ran away from her, but then, no condition is permanent! Billionaire daughter, Florence Ifeoluwa Otedola popularly known as DJ Cuppy has reacted to reports that her relationship with Nigerian striker, Victor Anichebe has ended and that she threw him out of a hotel room in Dubai. There were reports on social media 2 days ago with images showing the footballer moving out of the said Dubai hotel. Davido’s first baby mama, Sophia Momodu and their daughter Imade are really having the time of their life in the singer’s Atlanta home. She shared these hot photos as they hit the pool yesterday. The Nigerian Army has said the leader of the Indigenous People of Biafra, Nnamdi Kanu, has no means of livelihood, but used “propaganda” to make people believe him. The Director, Army Public Relations, Brig. Gen. Sani Usman, stated this in Abuja, while rounding off a two-day media conference on the military’s enhancement of human rights. 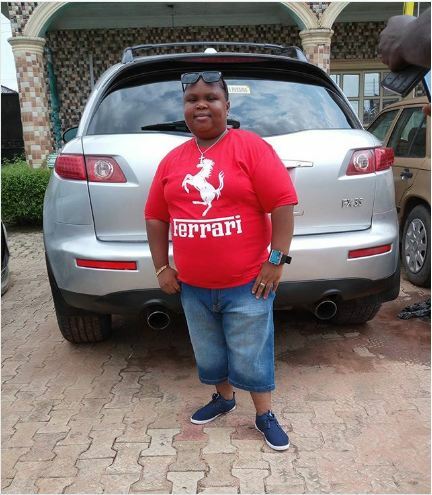 Plus-size Nigerian actor, Okwudili Chukwujekwu who died last month was today buried at his hometown in Anambra state. Family and friends of late Nollywood actor, Okwudili Chukwujekwu, popularly known as ‘Main Bossman’ couldn't hide tears as he was buried today. The actor died early September. He was buried today at his hometown in Otolo Nnewi, Anambra state. 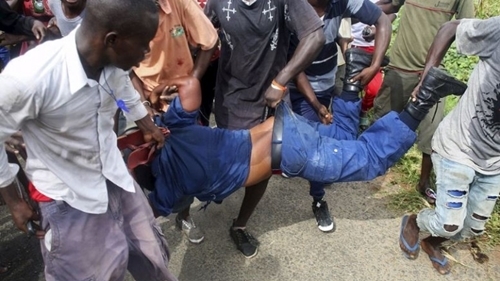 A trigger-happy operative of the Nigerian Police Police who allegedly shot dead a man after refusing N50 bribe from him, has been lynched by angry mob in yet another jungle jusice. Passengers on Tuesday, lynched a police man after he shot dead a passenger and wounded another following a heated argument over an alleged N50 bribe. According to a report by DailyTrust, the inspector who led one of his subordinates to mount a check point at Wuro-Dole village in Girei Local Government Area, Adamawa State, was said to have rejected a N50 bribe offered by a commercial driver, which led to heated argument which resulted in the incident. Popular Edo state musician, Osayomore Joseph, has been kidnapped by unknown gunmen around 10 :00 p .m. on Tuesday, in his village at Orovie, near Benin City. His wife sustained gun shot wounds on the head in the process. The Edo State Police Command’s Spokesperson , DSP Moses Nkombe, who confirmed the incident said police received report about the abduction around 11 :00 p .m . The student, one Chinedu Iromuanya, in Public Administration Department, reportedly attempted committing suicide by drinking ‘sniper’ on October 2 over an alleged carryover he had in one of his courses. A 17-year-old who escaped Bayelsa State police detention has been sentenced to 40 strokes of the cane and six weeks of community service. The youth had been arrested for stealing a cell phone and a bicycle. According to a copy of the Yenagoa magistrate’s court’s September 27 judgment seen by SaharaReporters on Wednesday, the juvenile was found guilty of stealing a mobile phone, a bicycle and escaping from police detention. The Kwame Nkrumah University of Science and Technology, Ghana (KNUST) has admitted a 13-year-old girl named Ruth Ama Gyan-Darkwa, to pursue a bachelor of science (Bsc) degree in mathematics. Thirteen year old Ruth, a student of Space Workers College, has become the youngest candidate ever to be admitted to KNUST, one of Ghana’s most prestigious government universities. Ruth Darkwa was born on May 29, 2004 to Mr. and Mrs. Kwadwo Gyan-Darkwa. She hails from the town of Berekum, in the Brong Ahafo Region, Ghana. Ubi Franklin just invoked the wrath of his fans for sharing pictures with Tboss! The MMG boss, earlier, shared photos of Tboss as a vixen in a video of one of his signed artistes, Ellyman, and fans kept their cool until he shared photos he took with TBoss at a comedy show in Abuja, and his fans put him on a bashing platform. Police in Ogun State have arrested a bride-to-be, Bose Christopher, and 30 other suspected cultists during an initiation party for new members in Abeokuta. The cultists were part of the 70 suspects paraded yesterday for various offences ranging from armed robbery to kidnapping, cultism, ritual killing, illegal possession of firearms and impersonation. Big congrats to Nollywood actress, Taiwo Aromokun. She just welcomed another set of twins, 4 years after giving birth to her first set of twin babies Jaden & Jamie. The excited mum, who has her own twin sister, showed off her new babies on her IG page yesterday. A Nigerian man has left many people shocked after he confronted his late dad at his grave and refused to obey instructions from the late man’s will on how to share his properties. His reason for the act is because his late father included his female children as beneficiaries in his will. It is not yet uhuru between King Kong crooner, V.E.C and the diminutive managing director of Chocolate City, Jude Abaga. Nigerian rapper, Olanrewaju Ogunmefun, popularly known as Vector has cleared the air on a feud about him and hip hop recording artiste, M.I Abaga. The duo were involved in an unpleasant exchange on Instagram recently. 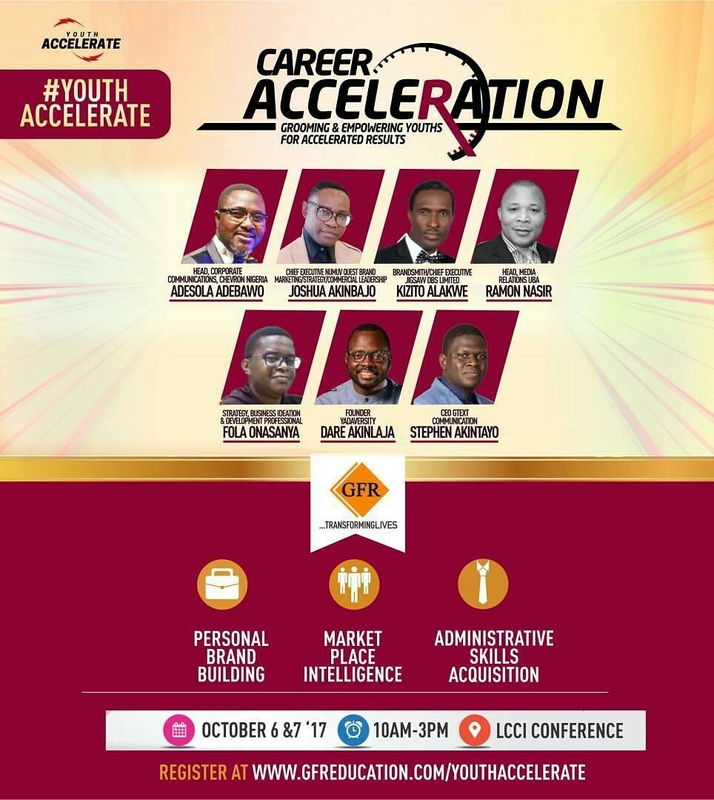 #YouthAccelerate is a training program for young graduates, fresh professionals, and business starters. It is carefully put together to help them launch into their colorful future. Poised to equip you with marketplace intelligence, relevant administrative skills and personal branding tactics... This was designed to make a clear difference. The unemployment rate in Nigeria increased to 14.2% in the last quarter of 2016. It's highest since 2009 as the number of unemployed went up by over 8million as at Dec 2016; leaving 61.6% of Nigerian youths unemployed. In 2017 alone, banks sacked 360workers every week from January to June. National Bureau of Statistics(NBS) revealed that 8,663 workers lost their jobs in the first half of 2017. Yet everyday, thousands enter the labour market. Finally, a proven system to rapidly accelerate your career, create your own, land the job faster than you think & keep it. Spend time with our seasoned professionals, Speaker who themselves had gotten promoted when their companies where downsizing. What did they do? How did they do it? How did they even get such lucrative careers? THIS IS an UNSCRIPTED event that will cause you to be distinguished. 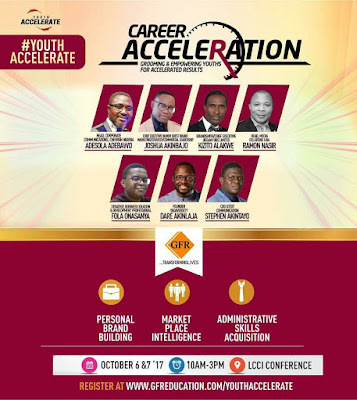 Venue: LCCI Conference Centre, behind Maruwa Gardens Estate, Alausa, Ikeja. INEC has faulted the early presidential campaign embarked on by a People's Democratic Party chieftain, Governor Ayodele Fayose. He said the ban on campaign was still on and until it was lifted, it was illegal for any party or politician to commence campaign. Yakubu stated this at the quarterly Consultative Meeting with the media in Abuja on Tuesday. Musician and human rights activist, Charly Boy has accused the police force of infringing on his fundamental human rights. Maverick entertainer, Charles Oputa, popularly called Charlyboy, has dragged the FCT Police Command before the Federal Capital Territory High Court in Maitama, Abuja over the harassment he and members of 'OurMumuDonDo' as well as Concerned Nigerians, faced during the Resume or Resign protests. The Inspector-General of Police (IGP), Ibrahim Idris, on Tuesday assured Nigerians that the police would secure conviction against alleged kidnap kingpins, Henry Chibueze and Chukwudumebi Onwuamaegbu, also known as Evans. Idris stated this during his keynote address at a security lecture in Uyo, Akwa Ibom. He commended the National Assembly for passing the anti-kidnapping bill into law and recommending death sentence for perpetrators. The Federal Ministry of Information under the supervision of Alhaji Lai Mohammed has been given a one-week notice to vacate its Abia State Division office for its alleged failure to pay rent for two years. The landlord of the property, through his lawyer, Adizua Okoroafor, served a quit notice on the ministry. Three youths were rescued as they were about to be buried alive in Rivers state. The victims identified as Sotonye, Bobmanuel and Opusunji are indigenes of Abonnema who were rescued by youths in Mgbuosimini Community and the Nigeria Police around Agip axis while they were about to be buried alive by suspected thugs, NHelm learnt. The victims were rescued on Saturday, September 30. The General Overseer of the Mountain of Liberation and Miracle Ministries a.k.a Liberation City has broken his silence over the on going Biafra agitation in the South East of Nigeria and the military exercise code named “Python Dance 2” or “Egwu Eke 2”. The renowned man of God who is today regarded as one of Africa’s most accurate and revered prophets is known to always bare his mind whenever he senses a leading of the Holy Spirit. He spoke from the headquarters of his thriving ministry in the Ojodu area of Lagos. The ongoing drama between the PSquare brothers is still eliciting responses from different celebrities. Most recently, musician Tunde Ednut declared that the fight is the end of the group. Now, Kokomaster has waded into the fight. Speaking in a recent interview with NET, D’banj said the media is to blame for making the brothers fight worse. 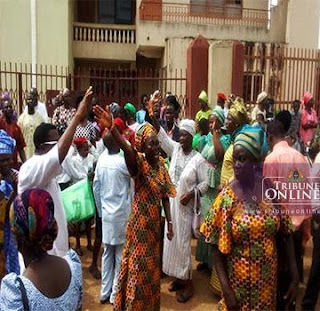 Some members of the Ajegunle Baptist Church, Agbowo, Ibadan locked the church last sunday, over allegations that the pastor was embezzling funds and abusing his office. Other members who were determined to worship, held the Sunday service outside the church’s gate. The disgruntled members under a group called “Concerned Members”, are insisting that church pastor, Reverend Oyewole Oyekan leaves the church on allegations of unilaterally running the financial affairs of the church and banking the church’s money to the tune of over N4 million in his personal account. 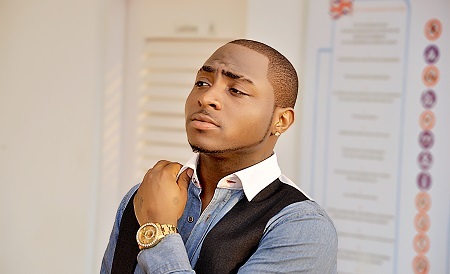 One of the most talked about pop stars in Africa, Davido, has become the most followed Nigerian celebrity on Instagram. David Adeleke, the young man who is known world wide as ‘Davido’ has now become the most followed Nigerian celebrity on Instagram. The superstar is currently topping the list with five million followers. 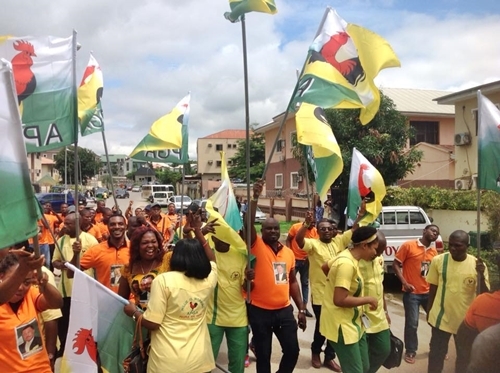 The former legal adviser for the Anambra state chapter of the Peoples Democratic Party, has defected to the All Progressives Grand Alliance. According to Vanguard, Agbasionwe was former Anambra east local government Secretary and former Deputy Chief Registrar Anambra State judiciary.